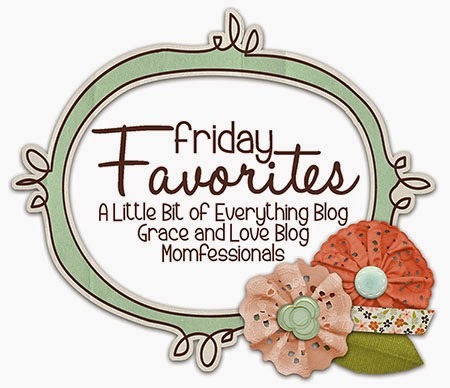 The fun part about today is I'm teaming up with my girls, Andrea and Narci, to share some Friday Favorites! The kiddos and I hit up the pool this week on Monday and Wednesday. The pool in the summer is our FAVORITE! This cute guy talked me into ice cream both days. Summer days are just better with a cold treat, right? I think Sheaffer summed this guy up the best one day this week by this..."Nixon is like a frat boy in a five-year-old body". The perfect way to describe Nixon. hahaha!! FAVORITE statement of the week! By that she meant, he prefers being the life of the party, is always down for a good time, and sometimes has some CRAZY ideas. He's also crazy competitive. We're still working on not being a sore loser. It literally eats him alive because he hates losing!!! This week we played "P-I-G" family-edition. I caught Nix mid-shot. We got the keys to the new house earlier this week and headed straight over to check it out. Our new backyard is going to be one of my FAVORITE places. We're still in McKinney just a different neighborhood. Super close to our old house. One of my FAVORITE people shared her crazy over on the blog yesterday. If you missed it, you can check it out here. These three have found their new FAVORITE space. The pool!! Our old house had a pool too, but our backyard was really shaded so even in Texas it stayed pretty chilly until the middle of July. On Monday, Andrea and I will be sharing our Favorite Summer Shoes! You should join us for our link-up! It's kind of short and sweet today, ladies!! Happy Weekend!! Good luck with the move and all the unpacking! The backyard looks fabulous! I'm so excited for you guys today!! Woohoo!!! Ok, I may have blonde hair, but didn't you just move?! Right? Wasn't that you guys?! I read all of your blogs so I may be crazy and mixed up. Did I miss something?!?! Yay!! Yay!! Yay!! Moving is going to be a beat down, but it will be worth it in a few weeks! :) woohoo!! He's a mess but a fun mess. :). Thank you!! Can you tell me that every day for the next two weeks? Hahaha! Hey, whatever is in God's will for your life is perfect! Congratulations! Good Luck with the move! I thought I was going crazy when it was just me and my husband.... I can't imagine it with 3 kids! Oh, my, blessings as you move. We'll be moving in 3-4 weeks after being in this house 34 years. UGh! I am dreading it like the plague. Can't wait for the home tour. Happy moving! I was thinking that yesterday! It was way easier moving in college and into apartments!! So exciting! Good luck with the move :) Can't wait to see pictures! Good luck with the move!!!! Prayers for you and your sweet family! Love all your pics from the week! The basketball shot is the best! Hope the move went well. Best of Luck in your new home! !